Corrib Travel is a long established travel agency serving clients in Galway city for over thirty years. 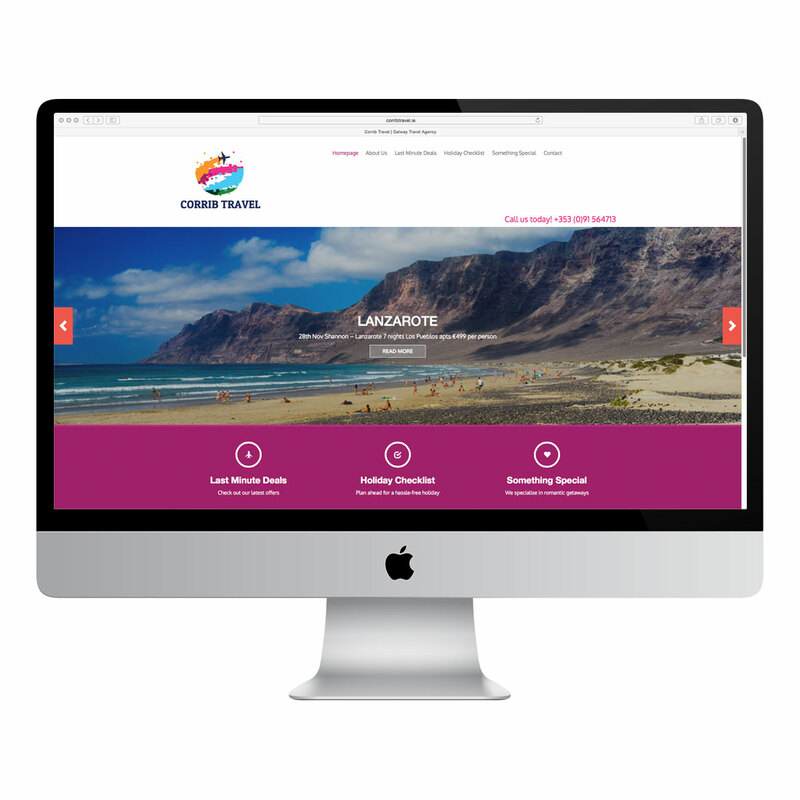 They wanted to freshen up their web profile, so Swift designed them a bright new site which features attractive shots of their key travel destinations and is responsive when viewed on a smartphone or other device. The site uses WordPress as a content management system, allowing the client the capability to make regular updates to the latest offers or travel hot spots.